When a person is sentenced to prison, they don’t necessarily have to stay incarcerated 24 hours a day. In New York, there are several temporary release programs that an inmate may qualify for. These programs have the main goal of helping inmates become acclimated to their community and allowing them to spend time with their families. An experienced Manhattan criminal defense lawyer can help you to understand your options. Those who are within two years of their release date may qualify for community service leave, which allows an inmate to do volunteer work in the community. Educational release is also an option for an inmate who wishes to attend school or college for up to 14 hours a day. Since 95 percent of state and federal prison inmates eventually return home, they need to work. Therefore, one important type of leave is work release. This allows an inmate to work in the community for up to 14 hours a day. He or she can earn and save money to obtain housing to start a new life outside of prison. The goal is also to help the inmate adjust to a new life without having to resort back to a life of crime. Inmates who meet the eligibility requirements can submit an application to the Offender Rehabilitation Counselor or Temporary Release Chairperson at their facility. The inmate’s record will be reviewed and the applicant will be interviewed. The inmate will receive a letter if he or she moves on to the next step, which is an appearance before the Temporary Release Committee (TRC). If TRC approves the inmate, the application is then submitted to the superintendent. Cases are then sent to Central Office for final approval. If an inmate is denied, he or she may appeal the decision. Under The New York State Senate § 855, an inmate in an institution where a work release program is available may apply to the institution’s temporary release committee for permission to participate in the program. If the committee determines that a temporary release program is consistent with the inmate’s welfare and the safety of the community, and also meets the rules and regulations of the department, the committee may develop a suitable temporary release program for the inmate. Looking for work or receiving job training can help you better acclimate to life outside of prison. There are several temporary release programs available in New York, so be sure to inquire about which ones you may qualify for. If you’ve been charged with a crime, we may be able to help. 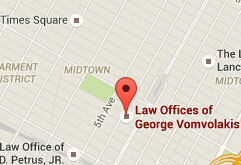 Give us a call today at (212) 682-0700 or contact us directly online for a free case evaluation.